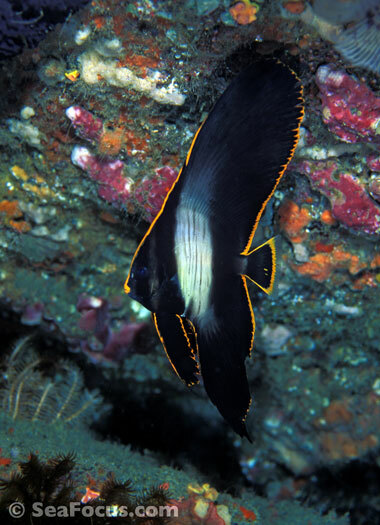 Unlike so many marine species, batfish are an exclusive, small group, with just five genus in the subfamily, Platax. 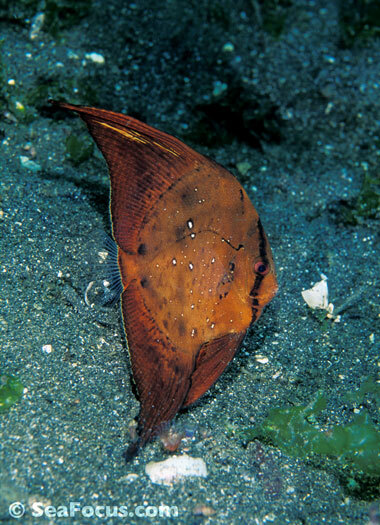 The genus name, platax comes from the Greek word platys, which means flat. 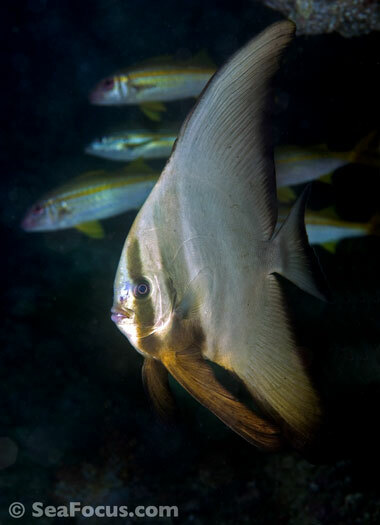 Commonly known as batfish (but the Americans sometimes call them spadefish) this group of lovely fish includes Circular, Golden, Pinnate, Longfin and Batavia – the Batavia is often called a zebra batfish as the wildly patterned juvenile has zebra stripes. 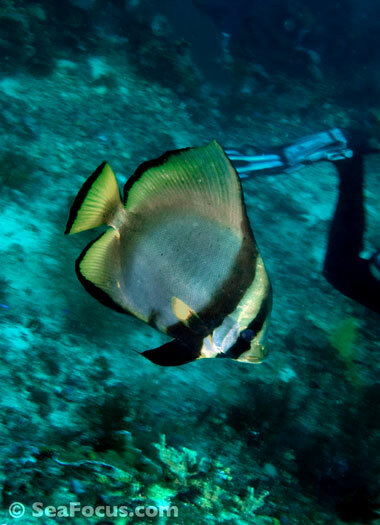 All batfish have a compressed body and grow to an adult size between 11 and 20 inches. 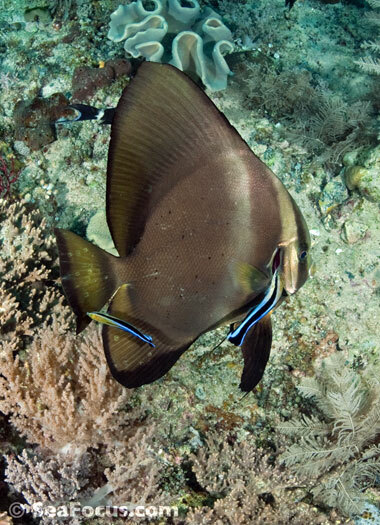 Batfish can be found all over the Indo-Pacific region, from the Red Sea to Australia. 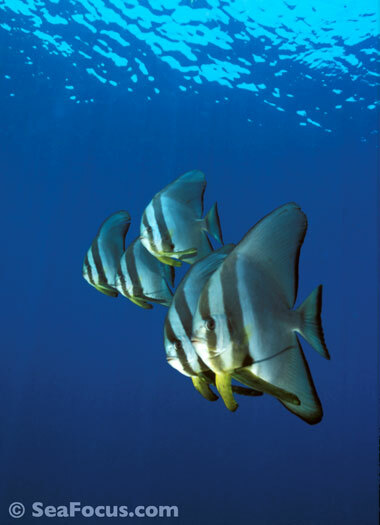 A few have been seen in Atlantic waters but are regarded as non-native and invasive in the Caribbean. 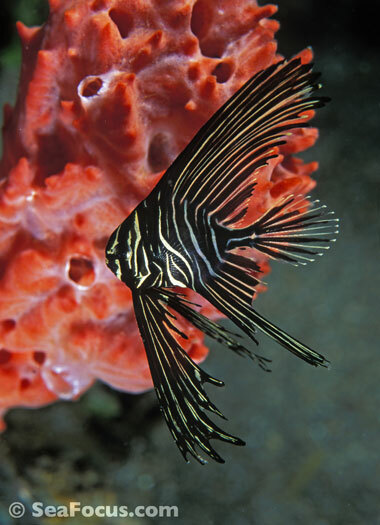 It's thought that they got there via the Aquarium trade and commercial shipping in much the same way that lionfish are now invading the area. 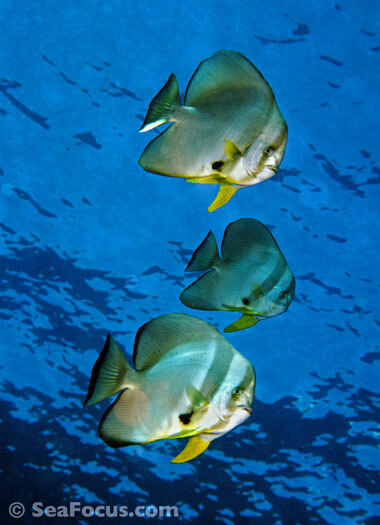 Batfish behaviour, regardless of type, is fairly similar. 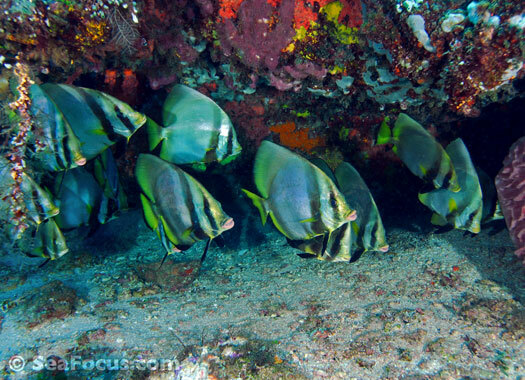 Juveniles are often loners and can be found hiding in caves or crevices or using a part of the reef as a safe haven. 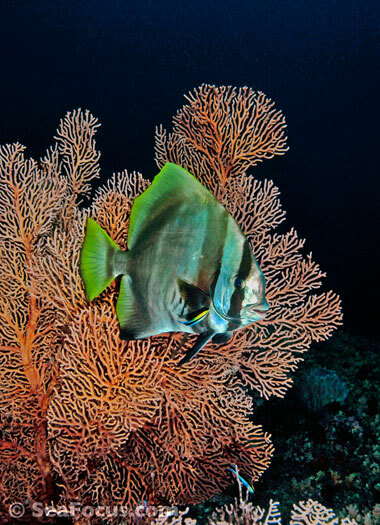 As they get older and larger, they get bolder and are seen in small clusters, often hovering near a seafan or coral outcrop. Even as they become adults, when some form enormous clusters, they are mostly found in the vicinity of shipwrecks or caverns, where they can retreat for protection. 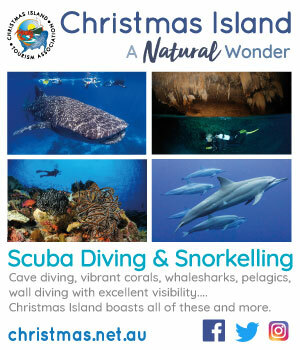 Despite that, they are often curious and get to know when the sound of a boat engine heralds divers entering the water and will swim up to check out what is happening. 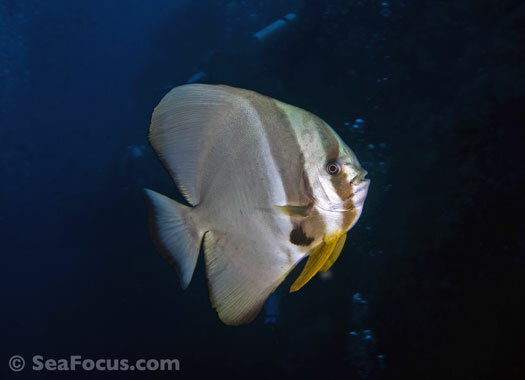 Batfish not listed on the IUCN red list of threatened species. 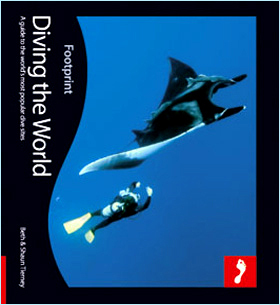 Slipping into the shallow water beneath the jetty at Kapalai is always an exciting event. At night you never know what you will see. On this dive, we stayed close to the small wall and found loads of crabs, plenty of shrimp and some stonefish. There were young cuttlefish, the resident mandarinfish, two ornate ghost pipefish and quite a few baby slipper lobsters. 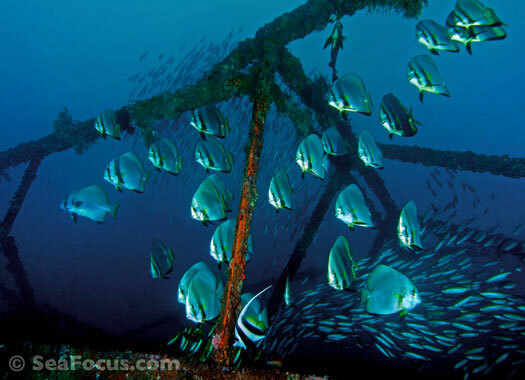 As we moved back towards the jetty pylons, we found squat lobsters crawling over brightly coloured sea fans that cling to the wood, then a sleeping parrotfish below before we disturbed a baby nurse shark that was hiding in the shadows. 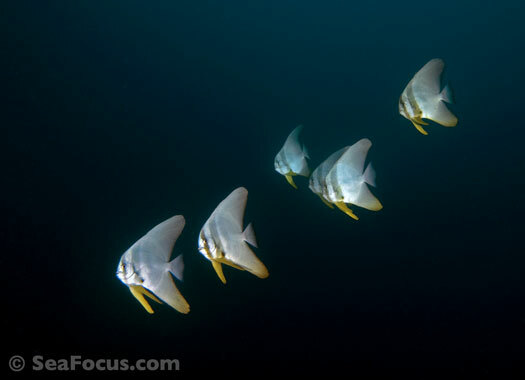 We were just turning back to the steps to finish the dive, when this young golden batfish swam straight to us. 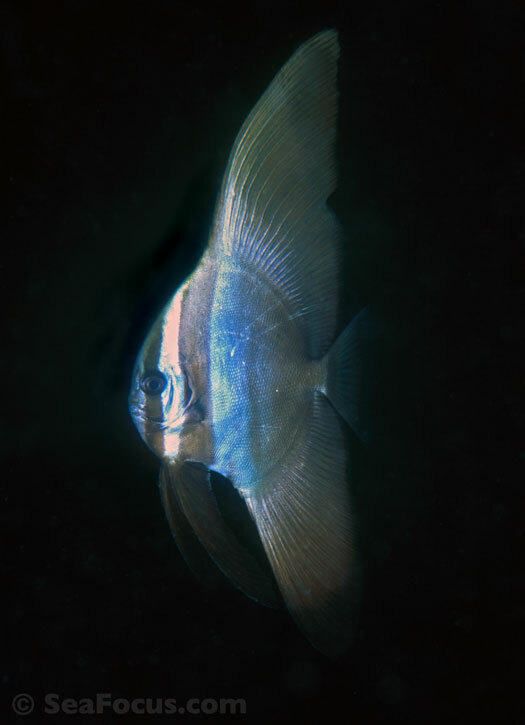 He's a young one, heading towards intermediate stage as indicated by the black eye bar and a second bar that runs from the nape to the ventral fin. 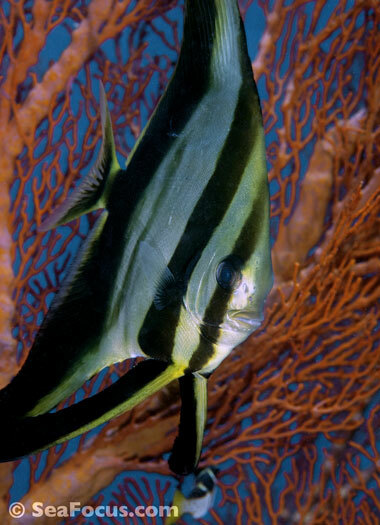 Younger juveniles are shaped a little more like a boomerang.